If you are a fan of the New York Mets, there is always that slight glimmer of hope that the franchise will get their act together, but at the end of the day it is only hope. The Mets have spent the majority of their 57-year existence making questionable moves which includes them consistently trading away young talent in favor of veteran players who are over the hill at the very least. The Mets just wrapped up their second consecutive losing season, and have spent the past few months making questionable moves that will only add to the angst of their fan base. This past October, the Mets named Brodie Van Wagenen as their new general manager. Van Wagenen has no previous front office experience in Major League Baseball as his calling card is that he was once the agent for current Mets players such as starting pitcher Jacob deGrom and outfielder Yoenis Cespedes. And of course this notion was enough to make the already wound up media in New York City fall out of their respective chairs when the Mets decided to hire him. But the overall sentiment was that let’s wait and see how Van Wagenen would put his stamp on the Mets, and less that two months into his tenure in Flushing, it is a mark of recklessness as well as stupidity that are attached to him. As most teams around Major League Baseball are in the midst of attempting to improve their respective rosters, the Mets are trying to do the same, but they have decided to take the avenue which is less traveled. If you’re a fan of the Mets, you might look back and refer to what just happened as “The Saturday Night Massacre” when the team decided to recently acquire second baseman Robinson Cano and relief pitcher Edwin Diaz from the Seattle Mariners. In exchange for Cano and Diaz, the Mets had to part with five players which includes pitcher Justin Dunn who was their first-round pick in 2016, as well as outfielder Jarred Kelenic who was selected in the first round this year. The Mariners are also sending $20 million to the Mets in order to cover a portion of Cano’s contract, but this trade has more doubters than believers. Cano is 36-years of age and he is coming off a season that saw him be suspended by Major League Baseball for 80 games after he failed a drug test. Cano is a lifetime .304 hitter and the Mets are hopeful that a return to New York City is just what the doctor ordered for him. Cano spent the first nine years of his MLB career with the New York Yankees which is where he had his best productivity. In 2005, Cano finished second in the American League Rookie of the Year voting, while he made five of his eight All-Star Game appearances in a Yankees uniform. Cano also helped the Yankees win the World Series in 2009, but in 2014, the $240 million over ten years that the Mariners offered him in free agency was too much for him to pass up. 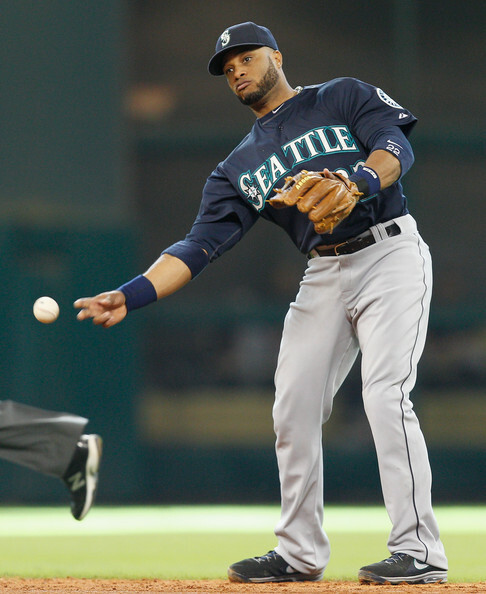 Cano continued to put up solid numbers with the Mariners, but he flew under the radar playing in the Pacific Northwest, while Seattle was never able to make the playoffs. And after the Mariners fell eight games short of making the playoffs this past season with a mark of 89-73, they’ve decided to trade their top players with Cano being at the top of that list. But you wondered who would be the suckers that would be willing to take on the contract of an aging player such as Cano, and the Mariners found two in Mets owners Fred and Jeff Wilpon. If you’re a Mets fan there is absolutely nothing to get excited about in regards to acquiring Cano. All the Mets have done is to pick up the Yankees leftovers, while this move has the makings to fall in line with so many other bad moves that this franchise has made over the years. Older fans of the Mets will always talk about the team acquiring a “washed up” Willie Mays in 1972, while younger fans will never forget the bad signings of Bobby Bonilla, Mo Vaughn, and Roberto Alomar to name a few. And when it all said and done, Cano will more than likely be in this category as well. So while the rest of Major League Baseball is looking to get younger, load up on prospects, and distance themselves from bloated contracts that are attached to older players, here come the Mets to take us back to an era that is being rapidly phased out of the game. A few years ago the Wilpons were crying poverty after being swindled by convicted felon Bernie Madoff in his ponzi scheme, and when it looked like they were going to have to completely sell the team, they only parted with 48% of their stake to several minority partners which was enough to appease former MLB commissioner Bud Selig who just happens to be close friends with the elder Wilpon. The Mets were then rescued from the incompetence of the Wilpons when Selig suggested that they make Sandy Alderson the team’s new general manager. And on Alderson’s watch, the Mets won the National League Pennant in 2015, while being just three games shy of winning it all. The fall out of that year was that the Mets parted with their best player in second baseman Daniel Murphy, while also being deceived by fool’s gold which now has them stuck with the contract of Cespedes. But the irony of Cespedes’ contract is that the man who brokered that deal in Van Wagenen just allowed the Mets to get hoodwinked again in order to take on the bloated contract of another one of his former clients. The throw-in to the deal was Diaz, but the deck is stacked against him as far as repeating his performance from this year where he saved 57 games for the Mariners. And if this sounds familiar, just go back to 2009 when the Mets broke the bank to sign relief pitcher Francisco Rodriguez who was coming off saving 62 games for the Los Angeles Angels. The Mets completely missed the boat as they should have been shopping at the Mariners “for sale” table with an eye on infielder Jean Segura who was just recently traded to the Phillies, or second baseman/outfielder Dee Gordon who is one of the best table setters in the game, while his ability to steal bases in second to none. This past season the Mets were 11th in the National League in on-base percentage (.312), 12th in runs scored (676), and tenth in stolen bases (71), as the addition of Segura and/or Gordon would have helped them improve in all of these categories which is what they truly needed. So this is how the post David Wright era is going to begin for New York’s “other baseball team” as Van Wagenen has attached himself to this deal with the Wilpons co-signing it. The only good thing that will come out Cano returning to the Big Apple is that the beat writers will have plenty to criticize the Mets on, while the Yankees can sit back and laugh at the ineptitude of their crosstown rivals. If the Mets wanted to make headlines this off-season, then they’ve accomplished that. But when the 2019 Major League Baseball season begins, don’t expect this team to be any closer to winning than they were when the previous campaign wrapped up.